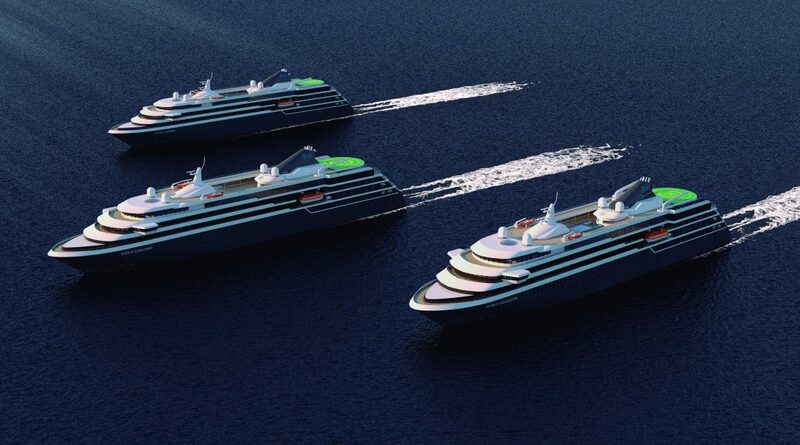 A consortium of Terragon Environmental Technologies Inc. , Delitek AS and Marship Engineering, are pleased to announce that they have received contracts from Portugal based WestSea Viana Shipyard for turn-key supply of an Integrated Waste Treatment package consisting of: MAGS V8, Dry waste recycling machinery, Vacuum Food waste units and a Waste Chute system for NB vessels CO-16 & CO-17. MAGS-V8 eliminates all contaminated non-recyclable dry and liquid wastes via gasification technology. Terragon’s Auto Gasification Technology enables the conversion shipboard generated wastes into synthesis gasses which is used as fuel. This characteristic is extremely energy-efficient and avoids the formation of harmful substances associated with conventional incineration. In addition, an exhaust gas cleaning unit prevents harmful emission to Air whilst a potential of 150 kW of heat energy can be recovered for the ship. Delitek A/S and Delitek NL_Marship Engineering are turn-key suppliers of complete maritime waste management solutions. Delitek’s factory located within the Norwegian polar circle is renowed for their simplicity in design, reliability of hydraulic power units and steel quality as well as finish of the in house produced Compactors, Shredders and Glass Crushers. Their recent addition DeliVac: vacuum based food waste solution is well received by the maritime industry. The combination of fit-for-purpose recycling solutions, food waste conveying system and processing of contaminated organic waste via auto gasification will assist these vessels in achieving the highest regulatory standards with the least impact to the pristine operating areas whilst recovering valuable materials for re-use and/or convert waste-to-energy. Keep the Ocean and our Air clean. Portugal, with docking capacity for large and medium size ships. It is equipped with workshops and liftingdevices for the construction of large modules and equipment.